The mass demonstrations which culminated in Roh Tae Woo’s Democratic Declaration of 29 June 1987 put an end to 26 years of military-based authoritarian rule. During the summer of 1987, South Korea (hereinafter Korea) appeared to be on the brink of major political and economic upheaval. Democratisation triggered off an unprecedented wave of labour unrest and a united democratic opposition seemed destined for victory in the forthcoming December presidential elections. Instead, the opposition fragmented and lost allowing Roh to hang on to power. The ruling party of the authoritarian era eventually merged with two of the opposition parties. In economic development, there was a continuation of the policy of gradual opening first initiated in the early 1980s. The aftermath of Korean democratisation contrasted sharply with the leadership and economic changes that followed the democratisation of Latin America and Eastern Europe in the 1980s. 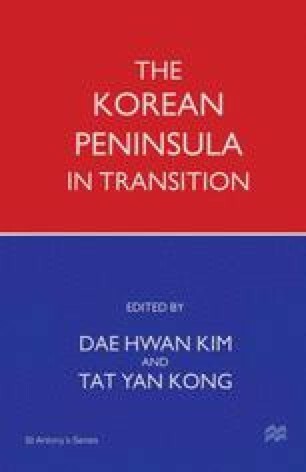 This article will explain why post-democratisation Korea followed a more graduated path of political and economic reform paying particular attention to the legacy of authoritarian industrialisation. It will then go on to assess the impact of societal activation on the economic policy agenda and the potential for Korea to combine a democratic polity with market-conforming intervention on the postwar Japanese pattern.